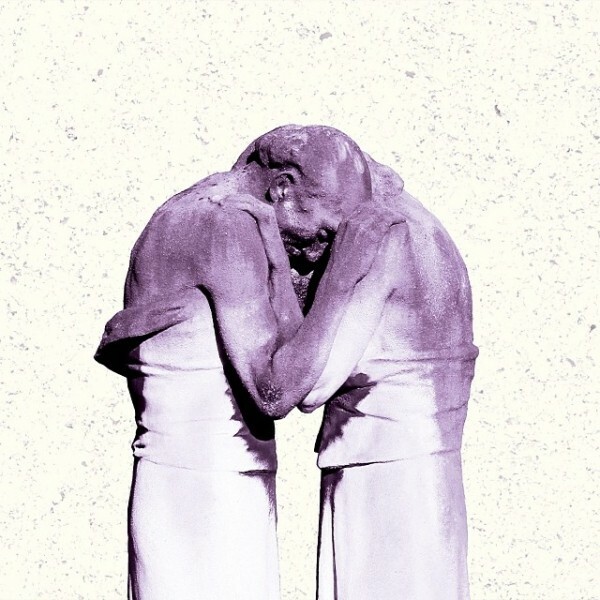 News to make our week: one of our favorite bands, The Antlers, are set to release their next album Familiars (cover above) on June 16th in the UK (via Transgressive) and June 17th in the U.S. (via Anti-). It’s the band’s first release since 2011’s brilliant Burst Apart, and you can pre-order the new album HERE. The band today dropped the first taste of the album via the official video for new song Palace, which is directed by Hana Tajima. Listen/watch below. There will be beauty and build. And elegiac horns to swoon over. And an encouragement or three (the song’s lyrics are at bottom). The Antlers doing what they do best. We can’t wait for Familiars, which is one of our most highly-anticipated albums of 2014. There is something extraordinary gurgling in the musical waters in Australia. Amongst others, Courtney Barnett continues to wow with her own inventions and sterling borrowings, and The Trouble With Templeton will soon take over your ears (an intro coming soon). And there are ample more Aussie artists awaiting your adoration. Specifically, Australian artists Holy Holy have recently released the official video for their rocker House of Cards. Check it out below along with their prior single Impossible Like You. The Aussies have always been jam-masters of the jangle (and history does repeat itself below), but Holy Holy add an aggressive shimmer to their chime that hasn’t been heard in quite some time. Their The Pacific EP, is out on Wonderlick now. Check ’em out. 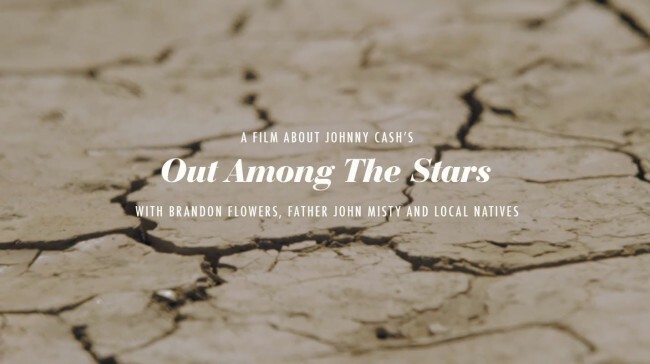 A sterling ensemble of artists got together and filmed (via the great La Blogotheque) an ode to Johnny Cash to coincide with the release of “lost” album Out Among the Stars, which is a collection of songs recorded by Cash in the early 1980s. Check out Dawes’ and Flower’s take on I Came to Believe, followed by Father John Misty’s Baby Ride Easy, and finished off by Local Natives covering Out Among the Stars (interviews included). This has been and will continue to be a fully Nationalized week. The boys have been getting around, still in support of 2013’s Album of the Year, Trouble Will Find Me, on 4AD. After they headlined last weekend in Manchester, England at the inaugural BBC 6Music Festival, on Tuesday we caught the band’s concert and showing of Tom Berninger’s engaging/entertaining documentary Mistaken For Strangers at the Shrine Auditorium in LA, last night they appeared on The Tonight Show Starring Jimmy Fallon, and this Saturday will be the musical guest on Saturday Night Live (a repeat of their great showing earlier this month). Whew. Jet. Setting. 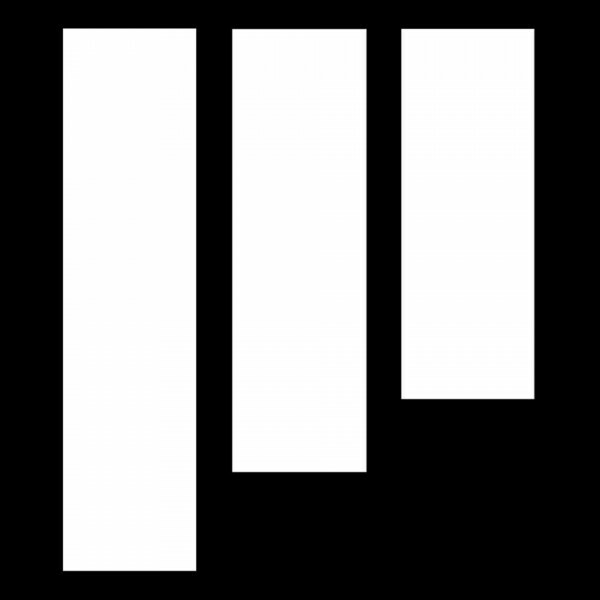 We assume all is merely preparation for their most important concert date, their first headlining of the Santa Barbara Bowl on April 24th (get tickets HERE). Despite the sound, size and squalor of the otherwise beautiful Shrine, the band put on a fantastic show in LA on Tuesday. We trust that after this week, they will rest up and come to the Santa Barbara Bowl invigorated and throwing hard like the hallowed that have come before them (Bob Marley, The Band, Joni Mitchell, etc.). 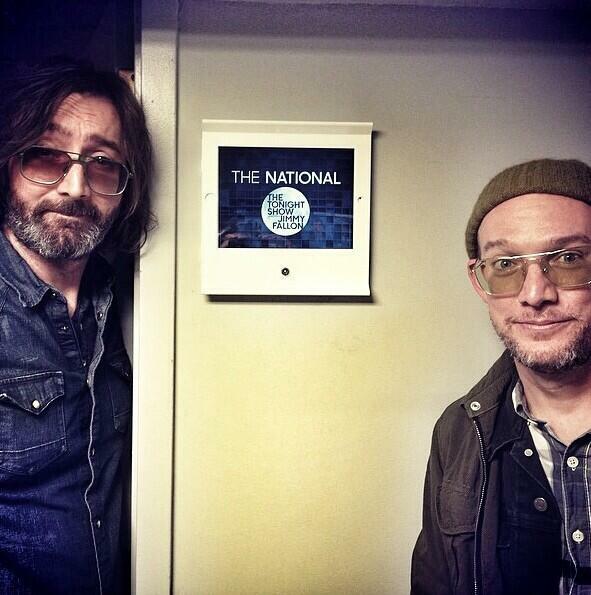 To get a feel for The National, check out below their superb performance of This Is the Last Time on The Tonight Show last night. The supplemental string quartet added vigor and spectrum to their already full sound. Afterwards, you can watch their whole performance at the BBC 6Music Festival HERE, and check out their vilifying version of Graceless below. We can’t wait for April 24th. It’s throw-back Thursday. We’ll throw back to last September and Janelle Monae (on Jools Holland), who in turn throws back a bit to James Brown and Earth, Wind & Fire in fine style, and then tosses in some rap and other updates to bring the sound to date and make it her own. And oh how the girl can sing. And dance. She took over the stage on Jools’ show last September in the face of some prime competition (The Pixies and Chvrches). If there’s any justice in the world, she will continue to blow up and be bigger than Beyonce and all the other wannabeyonces. Pay attention world. This girl rocks it. Below is a medley of the three songs she performed on the show. Dang. We were early adopters of Joseph Arthur’s rending reading of Lou Reed’s Walk On The Wild Side, which will appear on Arthur’s imminent album homage to his friend, Lou (featuring only Reed’s songs). The album is via Vanguard Records and will be released on May 13, 2014. 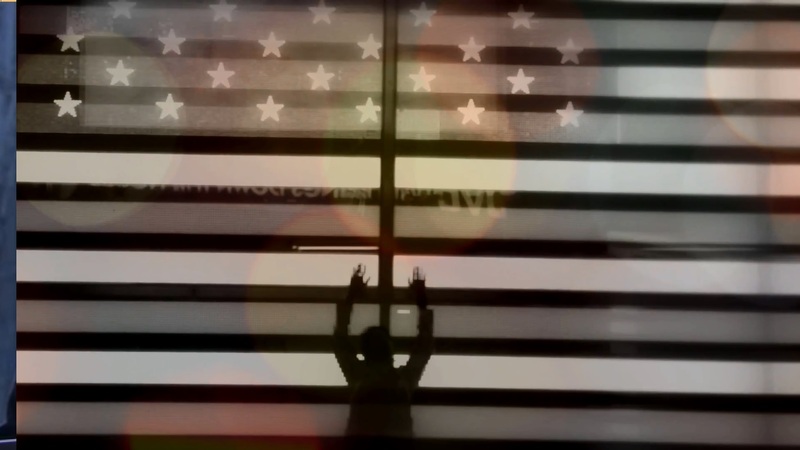 Arthur has now released the official video for the song, which you can check out below. We can’t wait for Lou. We have become hopelessly mired in the groove worn into our lives by Sylvan Esso. Their eponymous new album (review to soon-come) is filled with songs that crackle and hum, and are immediately memorable and affecting. And how many artists can you say that about these days? T0day the band released their sweet, official video for their outstanding, breakout song Coffee. Check it out below. Do you wanna dance? Makes us want to holler. 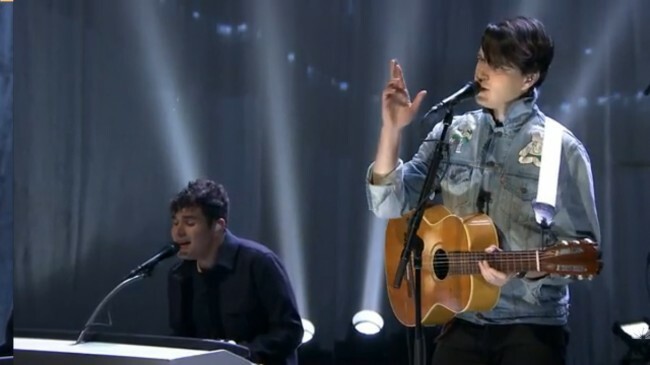 Vampire Weekend prepared for their impending world tour by stopping by The Tonight Show Starring Jimmy Fallon last night to perform Unbelievers off of last year’s much-lauded album Modern Vampires of the City. Check ’em out below and let us know if you would spend your hard-earned money to see ’em. We had some fun over the weekend with friends/acquaintances discussing which band was/is the best American “rock band” (or, perhaps we should say “rawk band”) of all time. After the criteria were clarified, narrowed and manipulated (Pavement, The Pixies and Nirvana were dismissed as too “alt-indie;” the Heartbreakers and the E Street Band were dismissed because they are headlined by individuals–Petty, Springsteen; etc. ), we at Chez Lefort determined that for us Credence Clearwater Revival was the best (our first pick was The Band, whose members were all either born in the US or have lived/lived in the US for over 50 years, but they were ruled out by the mob on a “Canadian band” technicality). Others differed with our selection (to give you an idea, the majority were initially of the Aerosmith mindset–we kid you not–but wouldn’t rule out Guns ‘N Roses either). With the foregoing as a backdrop, we stumbled across the new “rock” songs below from Athens, Georgia’s great Manchester Orchestra. We first encountered this superb band last year at Hardly Strictly Bluegrass when they roundly surprised and impressed with their instrumental chops, valiant vocals and scintillating songs. The band is about to release its new album, Cope, on April 1st (no foolin’) on Loma Vista Recordings/Favorite Gentlemen. These songs got our attention today because they met well the weekend mob’s criteria in our banter about the best American “rawk band,” but also because they’re just simply great (and feature, get this, post-neanderthal lyrics). As band leader Andy Hull has said about the album: “We wanted to make the kind of album that’s missing at this time in rock: something that’s just brutal and pounding you over the head every track.” So for that weekend mob and all others that want to “rock,” these songs are for you. We like what we hear. Check out Cope, Every Stone and Top Notch below. Prepare to be rawked. To give you an idea how good they are live, all of their California tour dates in May are unfortunately already sold out. Catch ’em when you can. Jason Molina passed from this earth one year and a week ago, and we pray for his prescience in the lyric above and the song below. He repeatedly bared his soul in song and was treasured as one of our most open and evocative singer-songwriters. Much has been written about Molina and his music’s affecting of so many lives. We confess we only glimpsed his songs while he was alive, but were always moved by what we heard. At times his pain cut too close to our cord and chords. But that’s just our problem. To get a feel for Molina’s place in the pantheon and his fans’ lives, one need only listen to the song below, Soul, released by Molina’s first “band” (Songs: Ohia, a “band” that only existed for six years before Molina moved on to Magnetic Electric Co.). Listening to it now is devastatingly good. Nice of him to write a song from us to himself. RIP Jason. 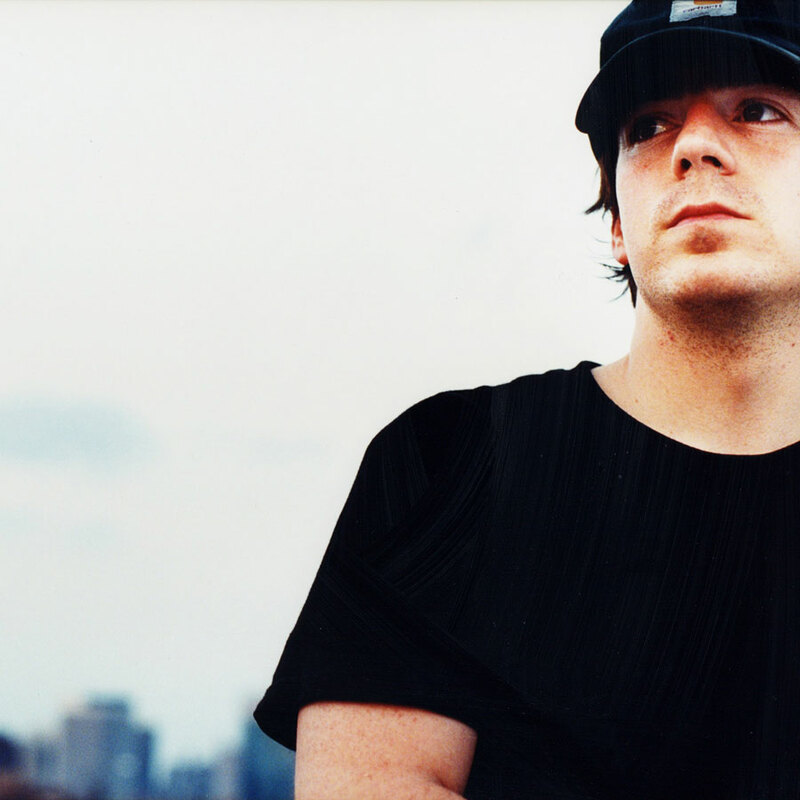 The song is a part of Secretly Canadian’s Journey On: Collected Singles, a box set of rare recordings from Molina‘s Songs: Ohia, that is being offered exclusively for Record Store Day 2014. The song’s lyrics are at bottom. Harbingers of hope. Don’t give up. And keep it alive.